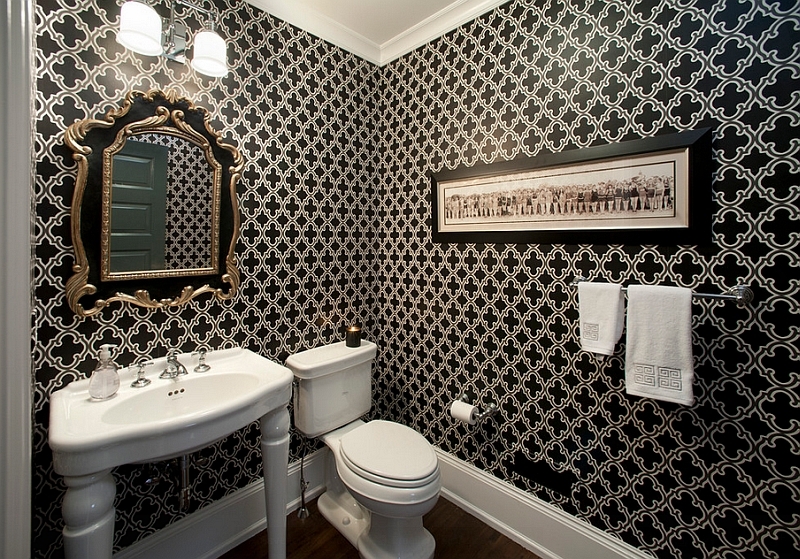 The word ‘resurgence’ might be a touch too strong for the newfound affection for black in interior design. We cannot call it a comeback as black has been always around, even if in a far less obvious and exciting fashion. But with TV shows, movies and the world in general once aging falling in love with the whole image of bad boys and even a few dark vampires (no, we are not talking about Mr. Suarez here), black has once again been propelled into the spotlight in the last few years. 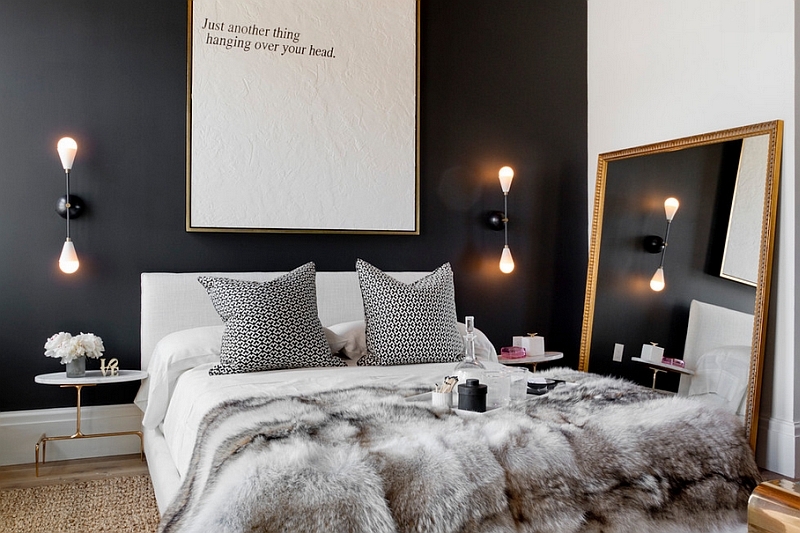 Once shunned in favor bright colors and beige, decorating with black is once again hip and trendy. The easiest way to use black around your house is to add it to the trims of a room with neutral walls to give the space a more anchored look. Since most homes tend to opt for either an all-white color scheme for the walls or one that is neutral in nature, this look works perfectly. 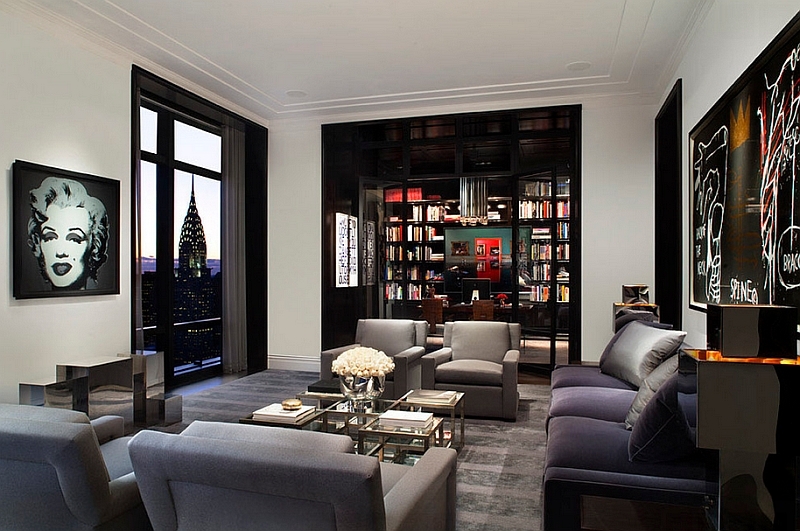 Classy and beautiful, black trim also gives the room a sleeker look and helps in making it appear larger. 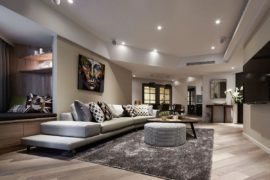 With open floor plans being so popular, a touch of black to the living room also defines it far more prominently and demarcates its boundaries. While black can easily highlight any architectural feature that you choose, it can also be used to shape that one perfect, mesmerizing accent wall. This approach toward black works especially well when you wish to highlight a cherished collection of artwork or photographs, as the dark wall instantly draws the attention of friends and family. While white seems more appropriate for an expansive, gallery-style look, black accent walls create a sense of warmth and drama while serving as the ideal backdrop for the beautiful pieces of art. 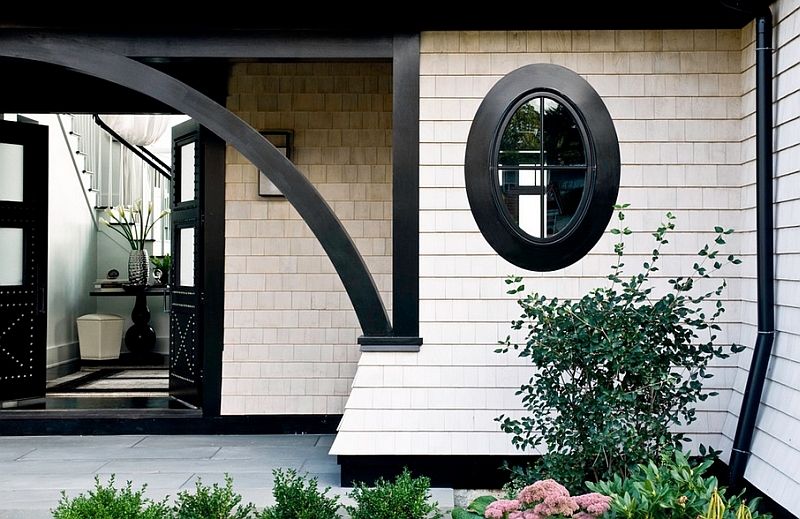 It has been nearly a century since Art Deco has found its footing in this world, and while many of its influences have waned over time, the black and white color scheme has stuck with us. 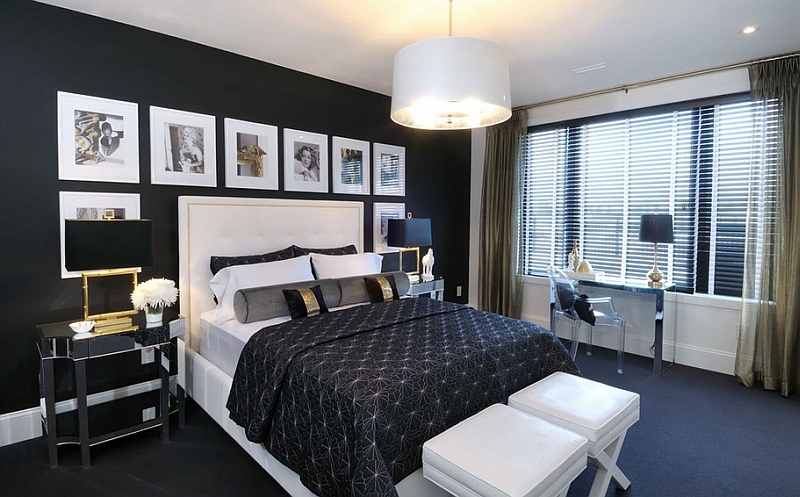 One of the essential qualities needed to pull off the stunning black and white look is a home with great architectural value and curated decor. 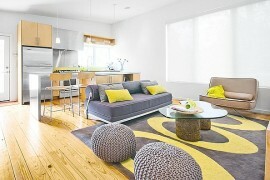 Otherwise, the color scheme loses its sheen pretty quickly and will lead to a chaotic and confused home. The size of the room often defines the amount of black that you should use. While larger, airier rooms benefit from more black, smaller rooms naturally look better with white as the dominant shade in the color duo. A smart choice would be to introduce some hot grays, which will make the transition between black and white far more organic and elegant. One you have the ideal backdrop, feel free to play around with the accent colors of your choice. When working with black, think minimal. It could be decor in black, accessories or even paint; black looks best when the space around it is as organized as possible. While white and other neutral hues allow you to take more liberties with decorating, black inherently encourages a restrained approach to interior design. Black and white stripes are a fun, polished way of using black, and vertical stripes also make rooms with low ceilings appear a lot taller. No matter what style you choose, with black, simplicity is the way forward. Black in the living room, dining area and even the kitchen looks great, but bedrooms are not really a place for too much black. 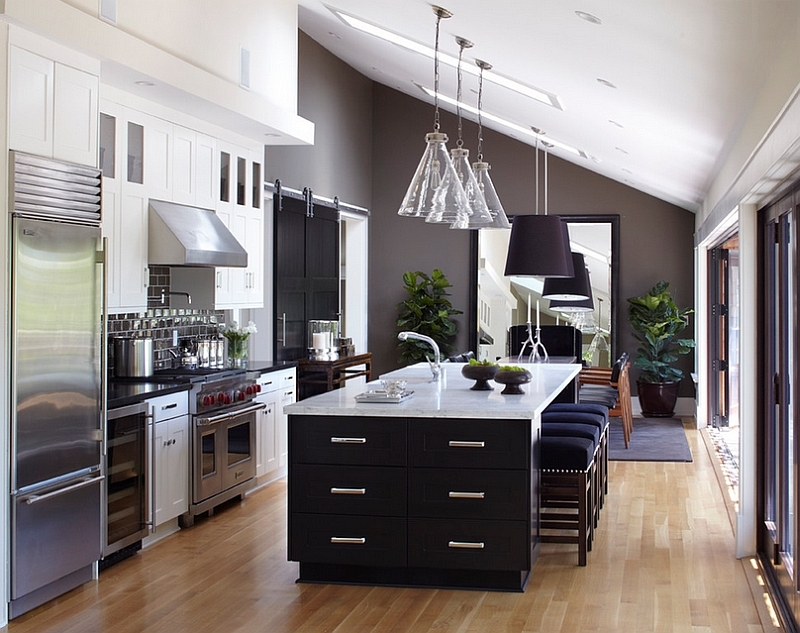 Instead of picking black, opt for darker shades of gray that give the appeal of black with the right lighting. Bedside tables and lamps can always bring in black accents to offer wonderful visual contrast, and you can even use wallpaper with chic prints to try out black in a less permanent fashion. Color experts suggest that too much black in baby rooms and bedrooms can be detrimental, and what appears as stunning sophistication can soon turn into a dreary confinement. Remember that you will not be going to bed every day with the same enthusiasm as the first day after redecorating! So it is best to use more relaxed and serene hues in the bedroom for a lighter visual appeal. While some homes manage to pull off black ceilings and even floors, we suggest against adopting this look unless you really love black and are prepared to live with it for awhile. 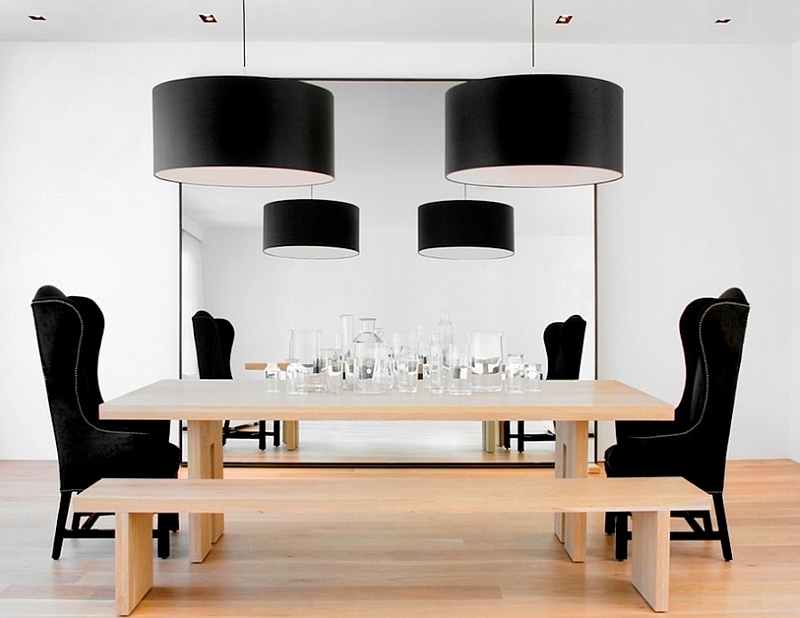 But for those who wish to create a cozy, cultured space draped in black, lighting becomes twice as important. Poor lighting means you are stuck with a dark room with little to be cheerful about. 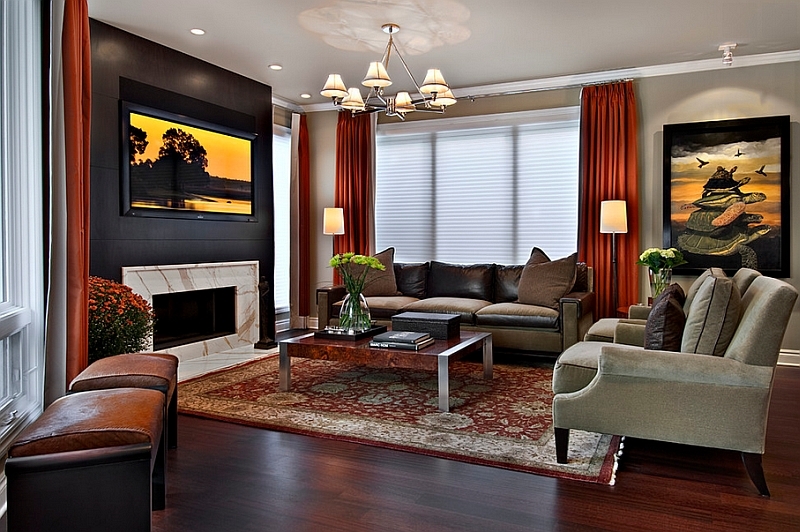 Combine several layers of accent, ambient and focused lighting to highlight each aspect of the room. Each layer of lighting must be placed at a different height so as to make sure there is even illumination and no dark pockets are left out. Even small spaces look stunning in black with the right lighting. But their appeal is enhanced several fold with the addition of mirrors. 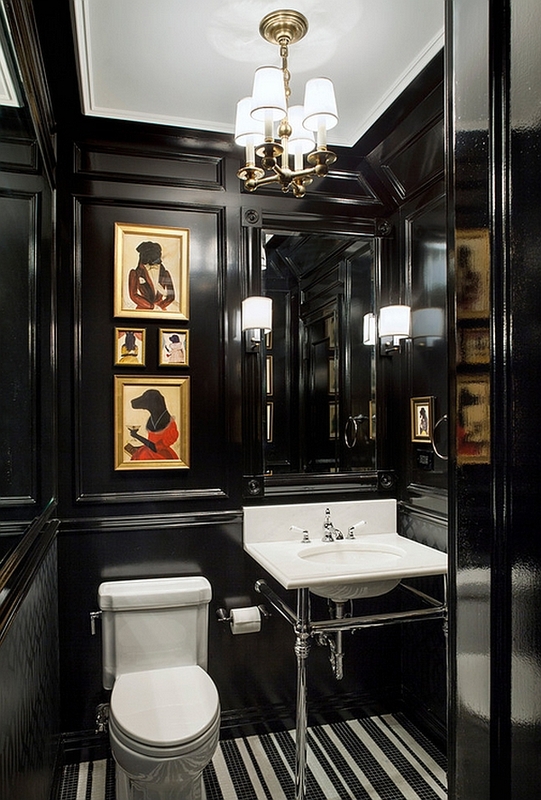 This is precisely why an all-black, compact powder room looks so suave and trendy! It is the presence of the mirror that truly adds glamour to the room and allows you to pull off the Hollywood Chic style with ease. For those with color commitment issues (and in the case of black, there are plenty of us that suffer from it), decor and accessories are the easiest way to first try out the color in small doses. Sideboards, rugs, lampshades and kitchen cabinetry are easy ways to test the waters before taking the plunge. Another smart way is to paint the base and crown molding in the room black to see how the color works with your walls and existing furnishings. 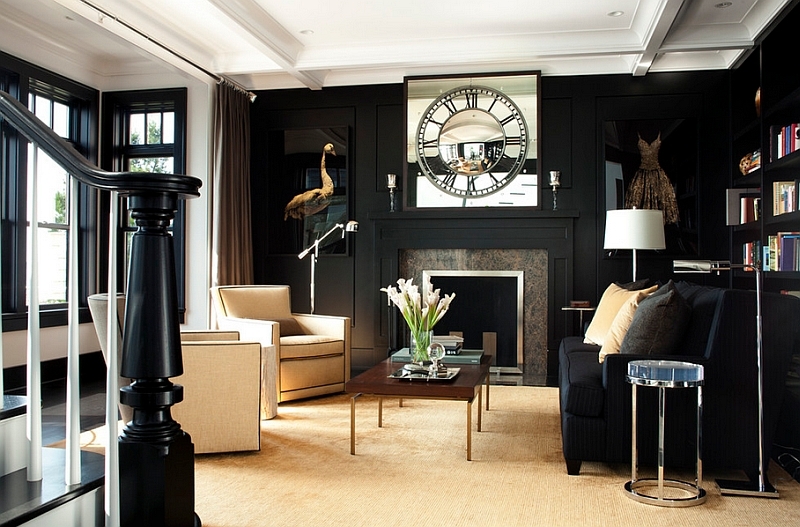 If you are happy with the shade and the intensity, then you can move forward with the idea of more black in the room. The idea of black being a color of ‘mourning’ or a dreary shade representing the dark side is just an exaggerated myth born out of past ignorance. None of us seem bothered about sparkling black shoes, designer suits and dresses in black. Why should your home be any different?